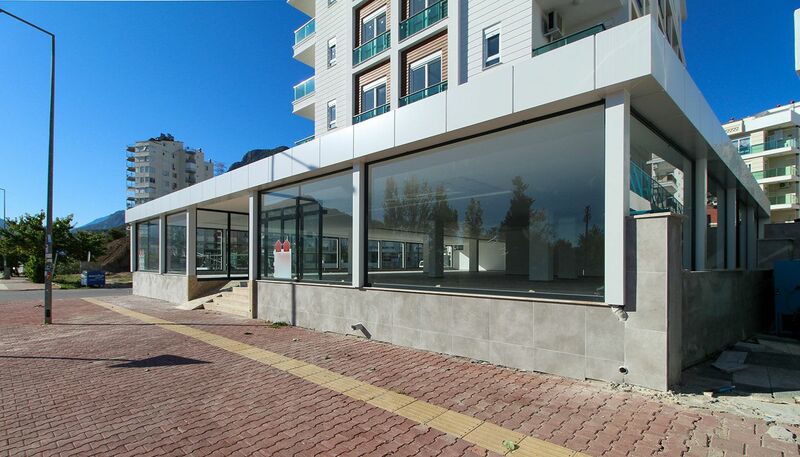 Commercial properties are situated in Konyaaltı, Hurma Neighborhood. The region is drawn attention with its investment potential, rich infrastructure, and easy transportation. There are many social and local amenities that you need. If you want to buy a commercial property in order to invest in Antalya, this region is an unmissable choice for you. Commercial properties for sale in Antalya are 27 km to the International Antalya Airport, 3 km to the beach, 11 km to the city center. Properties are surrounded by social facilities such as market, restaurants, shopping mall, schools, and bank. Boğaçay Project, Konyaaltı Coastal and Tünektepe Cable Car Project are a short distance to these commercial and increasing the investment chance. Investment properties are located on the ground floor of the building. There are 2 commercial properties in here. First one has 550 m² and other has 420 m² using area.